Store your stuff with help from Spider-Man! 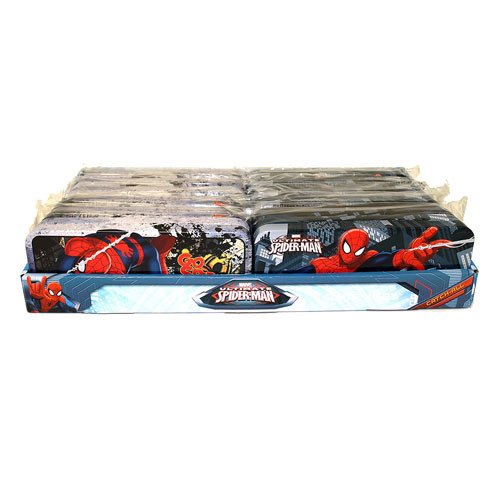 This Spider-Man Small Catch All Tin Set contains 2 individually packaged tin boxes that can be used for storing all sorts stuff! These totes are small enough to take on your web-slinging adventures, too! Each tin measures 8-inches long. Ages 5 & up.